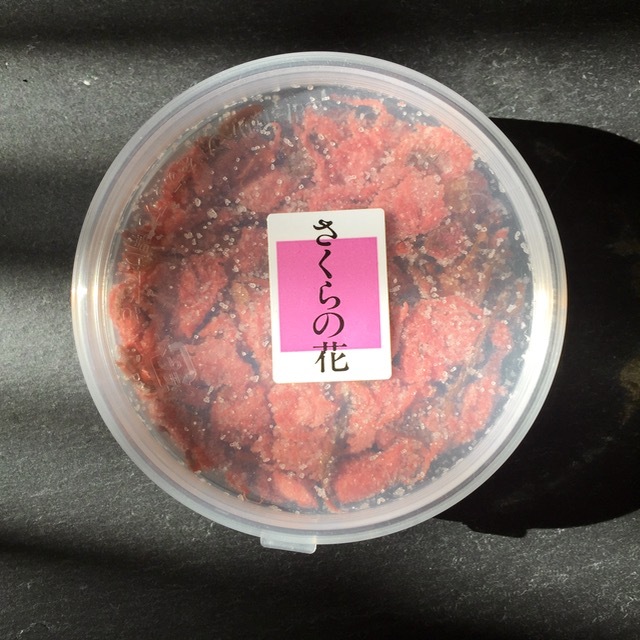 A good friend recently returned from a tour of Japanese temples and brought this unusual ingredient… some preserved cherry blossoms in salt. I understand you can re-hydrate them and add them to a cup of tea, but other than that, does anyone have any clever ideas how else to use these? Thanks. The Japanese seem to have a knack for preserving almost anything edible or not . I put them in vinegar for mignonette sauce. I also grind them up and use them on the rim of cocktails, scatter over ice cream with olive oil, and finish delicate seafood like scallops with them. it’s mostly decorative, but you can put it in tea. they taste a bit like salaw. you can put them atop rounds of silken tofu. that’s how i saw them used in japan. I learned about Preserved Cherry blossoms from Namiko who has a blog, Just One Cookbook. She has 2 recipes using cherry blossoms – Cookies and Milk pudding. Nami is a very good Japanese homecook who currently lives in CA. with her husband & 2 kids. Probably more symbolic than anything else because how much flavour or food value can a single blossom provide. Think candied violets. When bread was first introduced to Japan, it filled a ready gap in the market as a medium for wrapping their ubiquitous sweet red bean paste. The former samurai who transitioned to civilian life as a baker attracted Imperial patronage by sticking a single pickled sakura in its centre. 1. Wash and soak blossoms till they reconstitute to resemble the flowers they once were. Towel dry gently. Blind bake a rather deep tart/pie shell, add some canned cherries and fill to two thirds or more with either custard, curd, gelled cheese cake or anything similar. Make sure the surface is as smooth as possible. Place blossoms artistically onto the tart and refrigerate till firm. Pour on a gelatine + sugar + kirsch solution to seal the flowers. Refrigerate. Alternatively, sponge in a ring or cake pan with detachable bottom, cherries, the creamy mixture, blossoms, gelatine. 2. Wash blossoms, remove any stems and soak in rose essence + little water. Pat dry before use. Make butter cake batter and alternate batter and blossoms as you fill up your mould. Bake. 3. Agar-agar or konnyaku with reconstituted blossoms. You could make some gorgeous cookies, topping of onigiri or filling if they’re salted like umeboshi or even garnish like microgreens. Thanks for all those wonderful suggestions… clearly this is a much less familiar ingredient for me than for others!